Originally a lion goddess, after 1000 B.C. as her cult developed, she became more associated with the cat and was considered to be the counterpart of the lion goddess Sekhmet. 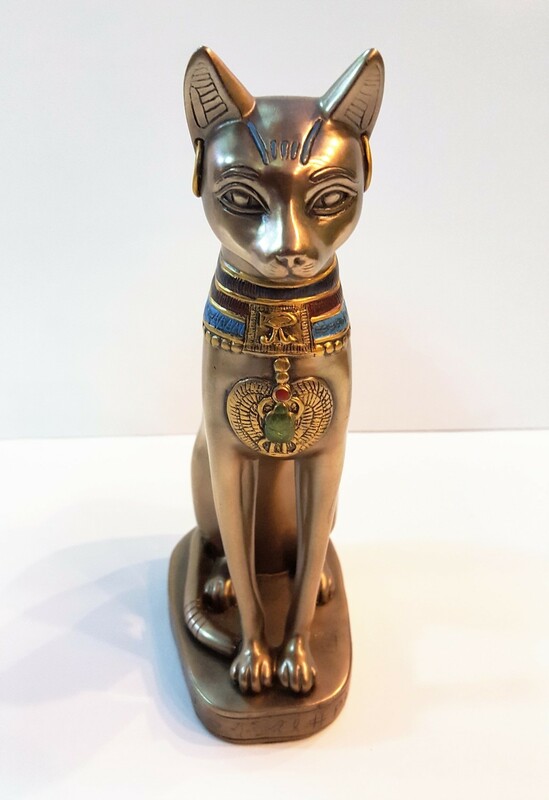 Cats could be observed skillfully hunting and catching snakes, which had special relevance for the Egyptians since the snake was the symbol of Apophis, the demonic enemy of the sun god Ra. So cats became animals sacred to the solar deity. Bastet was especially worshipped at her temple at Bubastis ("the house of Bastet").